Ask any vertebrate if it’s fond of mosquitoes, and you’ll get an emphatic, “Are you crazy? !” in response. But, of all the vertebrates out there, only humans have the scoop on the facts and fiction regarding the pesky little vermin and their capacity to spread disease. Or so you would think. Unfortunately, some humans have fallen prey to some misinformation which we aim to correct. Fact 1: Only Mrs. Mosquito bites. Mr. Mosquito is cool simply buzzing around your head chasing after his honey bunch. Not even all of the girls sidle up to the dinner table that is your skin, either. Fact 2: Out of more than 3,500 species, a few can actually lay eggs without a blood meal first. But the biters far outnumber the peaceful ones making it seem like every species is out to get you. Fact: Mama Mosquito can deliver malaria, West Nile Virus, encephalitis, Zika virus, dengue fever, chikungunya and other nasties through her saliva as she drills you with her proboscis. However, she digests the HIV virus and eliminates it through the other end of her tract, by which time it is rendered harmless. Myth: People with Type-O blood attract more mosquitoes. Fact: Like Dracula, mosquitoes are happy to drink anyone’s blood. What draws them is your carbon dioxide emissions and body heat, plus maybe a cocktail of your skin’s genetically-determined fragrance. Perhaps the myth gained traction because Type-O is the most common blood type of all. Myth: Citronella candles repel mosquitoes. Fact: Who started that myth? The guy who invented citronella candles? The truth is, other botanicals effectively repel mosquitoes, but citronella fails to live up to claims. Myth: Citizens of the United States are in very little danger from mosquito-borne diseases. Fact: Americans enjoy no special favor in that department; however, as well-fed as Americans are, it’s possible that our immune systems have a heartier resistance once infected. But that’s mere speculation. We do know, though, that the U.S. definitely has infected mosquitoes and once in a while we get an outbreak of mosquito-borne disease. Myth: Every continent on the planet has mosquitoes. You can’t escape them. Fact: Yes, you can. But you’ll have to move to Antarctica to do it. Even the arctic tundra and Siberia swarm with the pests during their short summers. Myth: My family will never enjoy the outdoors in the summer because of the difficulty in eradicating the mosquitoes in my yard and the exorbitant cost of pest control. Now that the snow is gone, its time to clean up the yard for the spring. Keep this in mind to help reduce the mosquito population in your yard for the season. Two studies released today detail Zika-related ear and eye problems while the US Centers for Disease Control and Prevention (CDC) and World Health Organization (WHO) updated their weekly Zika numbers. 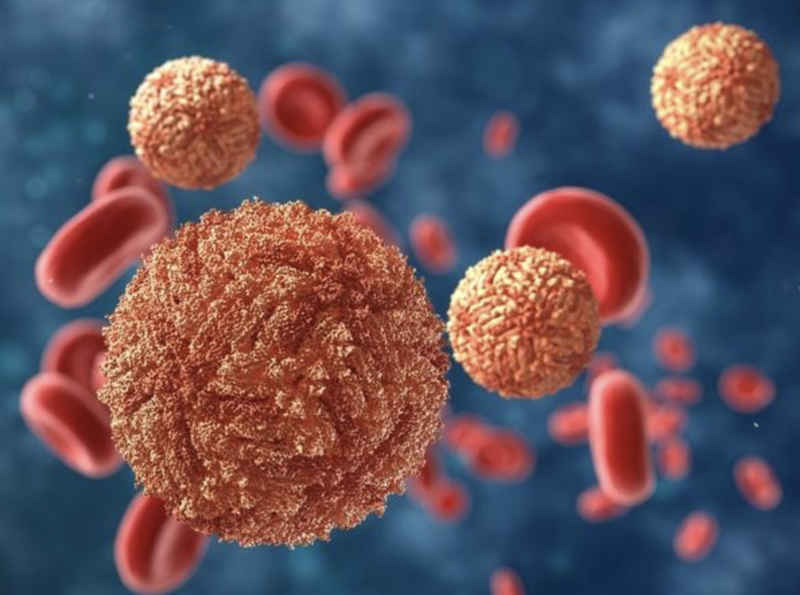 “In a new study published in Clinical Infectious Diseases, Brazilian researchers detailed three cases of acute, transient hearing loss in adults who were infected with Zika virus. All patients were admitted to an ear, nose, and throat emergency department in the summer of 2015. One patient had laboratory-confirmed Zika, and the other two were probably infected with the flavivirus. These are the first cases of acute hearing losses described during the current epidemic that began in Brazil. The first patient was a 23-year-old man who was admitted to the hospital for hearing loss 2 weeks after suffering a fever, itching, and joint pain. The hearing loss lasted 4 days, and audiometry testing showed mild loss in the right ear. Blood tests confirmed Zika virus antibodies. A 54-year-old woman also presented with moderate bilateral hearing loss 3 days after experiencing itching, dizziness, myalgia, and headache. Within 1 month her hearing issues were resolved, and lab tests showed she had both Zika and dengue antibodies. The final patient was 58-year-old woman who had intense hearing loss and tinnitus for 2 days. Two weeks prior to hearing loss, she experienced itching, myalgia, dizziness, and headache. Her hearing returned after 3 weeks, and she had both dengue and Zika antibodies in her serum. Another study, published today in The Lancet, described a case of bilateral posterior uveitis, or eye tissue inflammation, in a 26-year-old American man who was infected with Zika after traveling to Puerto Rico. Two weeks after being diagnosed as having Zika virus with moderate symptoms, including red eyes, the man complained of seeing photopsias, or flashes of light. An eye exam showed mild ocular lesions, with symptoms resolving within 3 weeks. The authors say this is the first description of Zika-related bilaterial posterior uveitis and acquired chorioretinal lesions. DETROIT (AP) — Lyme disease cases have increased in Michigan due to the spread of blacklegged ticks in the state. The ticks often carry the bacterium Borrelia burgdorferi with them, the Detroit Free Press reported. The bacteria can transfer when they bite a human or animal and can cause Lyme disease, a serious infection that can be permanently debilitating when it’s not treated early and well. There were less than 30 human cases of Lyme disease reported in Michigan in every year between 2000 and 2004, according to a recent study by Jean Tsao, an associate professor in Michigan State University’s departments of fisheries and wildlife and large animal clinical sciences. But the number had jumped to 90 reported cases by 2009, and by 2013, it was nearly 170 cases. The Lyme disease spike in Michigan correlates with the spread of blacklegged ticks in the state. In 1998, the ticks were established in only five counties and reported in more than 20 other counties. By 2016, the ticks were established in 24 Michigan counties and reported in 18 others. Officials with the federal Centers for Disease Control and Prevention estimate the number of Lyme disease cases nationwide could be 10 times higher than what is reported. Infected people and their doctors don’t often test for the disease because it’s relatively new in Michigan and its symptoms often mimic what feels like the flu. Erik Foster, an entomologist with the Michigan Department of Health and Human Services and co-author of the study, said doctors also don’t always report finding Lyme disease to their local public health department. Mosquito-borne illnesses are a considerable burden on human and animal health, so understanding what influences the behavior of mosquitos could be useful. A recent study published in PLOS Genetics suggests that there may be a genetic component to mosquito behavioral preferences, including what they choose to bite. The control of malaria depends on the propensity of mosquitos to bite humans versus other hosts—if mosquitos prefer humans, then they’re more likely to spread diseases between humans, but if they prefer to feed on other animals (like cows, for example), then mosquitos may not be contributing as significantly to the human burden of disease. Additionally, control of malaria depends on the tendency of mosquitos to rest in places where we can ensure they are likely to come into contact with insecticides. Mosquitos are more likely to encounter insecticides indoors, because homes in countries where malaria is endemic are more likely to have long-lasting, insecticide-treated nets, which will kill mosquitos if they come into contact with them. These nets are highly effective and have pared down the number of dangerous mosquito species in many parts of Africa. For this PLOS study, some researchers were interested in investigating the potential that the surviving mosquitos may have adapted their behavior to avoid control measures like nets. And, if this were occurring through evolution, it should have left a mark in the pests’ genomes. So they investigated the genetic basis for mosquito host and resting area choices. Researchers collected the mosquitos from villages in Africa, selecting specimens based on their primary hosts and resting areas. They selected some specimens that preferred to feed on cattle, others that preferred to feed on humans, as well as specimens that tended to rest either outdoors or indoors. The scientists then sequenced the genomes of 23 human-feeding mosquitoes and 25 cattle-feeding mosquitos. They found a total of 4.8 million base-pair differences that they used to conduct the first genome-wide estimates of heritability for host choice and resting behavior. They used a principal component analysis to segregate individuals into three groups based on genomic variation. This uncovered a genetic component for host choice but did not find anything associated with indoor/outdoor resting behaviors. In the researchers’ analysis, they found some compelling indications for a genetic component to host choice by using what’s called a chromosomal inversion analysis. A chromosomal inversion is a piece of chromosome that is flipped relative to its normal orientation. Chromosomal inversions do not necessarily cause abnormalities on their own, but they can be useful genetic markers. In this experiment, the researchers looked closely at two chromosome inversions known as 3Ra and 2Rb. They used a novel inversion genotyping assay to detect a significant enrichment of the arrangement of 3Ra genetic inversion among cattle-fed mosquitos. Included in this inversion were two genes that coded for odorant signaling proteins and odorant receptors. The researchers think that these proteins may be linked to the preference for cattle over humans as a food source. Though there are no immediate consequences to this finding, there are many ways in which this information could be used for future mosquito control measures. Perhaps targeted insecticidal approaches that alter the functioning of this odorant protein or receptor could be an effective future means of mosquito control. Or, alternatively, introducing lots of mosquitos with this genetic difference to the mosquito population could reduce the percentage of mosquitos that prefer to feed on humans. This paper is the first finding connecting a mosquito genetic variant with a specific behavioral pattern, and the finding opens the door to new potential control measures in the future. PLOS, 2016. DOI: 10.1371/journal.pgen.1006303 (About DOIs).